A broken air conditioner can make you summer long and miserable. Repair may be faster and more affordable than you think. We can dispatch repair crews 24 hours a day to resolve any emergency situation, even on weekends and holidays. We also have access to an array of common parts so that most situations can be resolved without delay. With MGM Air, you can expect professional, courteous service at a competitive price. Whether you choose an annual maintenance agreement or simply opt for our seasonal tune-ups, it's important to set up regular service checks for your AC equipment. These annual inspections can uncover potential problems before they cause a system shutdown. The technician cleans the components and takes care of loose or worn parts. If the unit is starting to show its age, you'll be kept informed so that you can start making plans before an emergency arises. With MGM Air, you have access to the top brands, quality service and the peace of mind of working with a local company that's built a reputation for honesty and integrity. 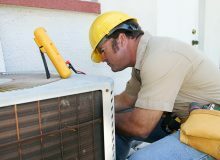 When you need air conditioning repair or installation, choose the local leader. Choose MGM Air.